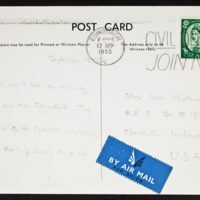 Jane Erving Rich is married to Alexander Rich. 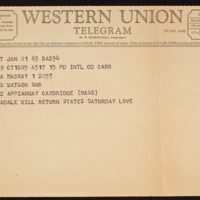 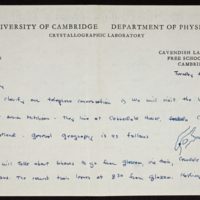 Telegram from James D. Watson to James D. Watson, Sr. 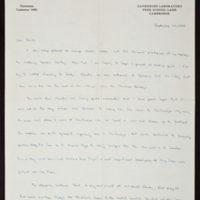 Tags: Scotland~ Travel~ Watson, James D., 1928-~ Watson, James D., Sr. 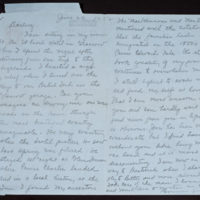 Tags: Great Britain~ Mayr, Christa~ Scotland~ Travel~ Watson, James D., 1928-~ Watson, James D., Sr. 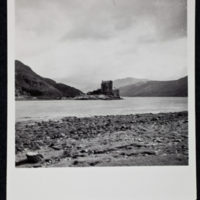 Photograph of Eilean Dolan Castle, Western Highlands, Scotland and a photograph of Isle of Skye, on the road to Annandale with Christa Mayr. 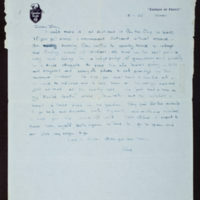 Versos of photographs feature handwritten description by Watson.